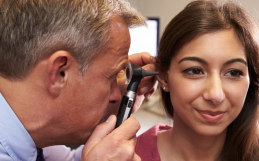 Avid users of the endoscope in the ear enjoy the minimally invasive nature of the technique compared to open ear surgery. Children usually have a smaller ear canal and often smaller thinner tragal cartilage to graft from. Whether the technique allows equivalent outcomes compared to the traditional open techniques is still undecided in long term follow up. Dr Cohen and Dr Lee recently published their single institutional retrospective study with short term follow up of 51 totally Endoscopic cases compared to their open cohort of 70. Endoscopic Pediatric Tympanoplasty is possible and achieves similar closure and hearing rates to the open technique is this institutions experience. Interested in a fellowship with SEES? We are currently reviewing candidates, so feel free to apply by filling out an online application and upload your CV and cover letter.